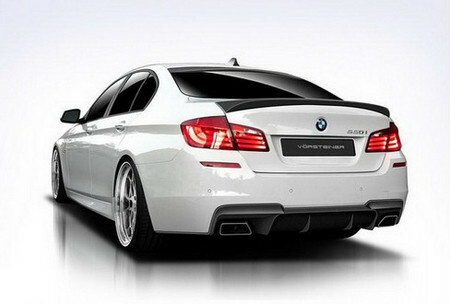 If you don’t like the other 100 aftermarket kit available for the BMW 5 Series, this new one from American tuner Vorsteiner might be able to float your boat. It is not a busy kit at all, and tries to make the car look better through a couple of understated new bits inspired by M aero kit. So you get a carbon fiber front spoiler, new side skirts, a carbon fiber rear spoiler accompanied by a roof spoiler, and a superb rear diffuser that features a pair of rectangular exhaust pipes. You also get the VMS’ 10-spoke white wheels as the primary choice, but there are other options as well.